See this URL for learning packages from $159 and materials for just $99 including shipping through December 2019. All live retraining programs include 4 days of training, quiz practice and materials. (1) Budget: $399 - Live Video Conference only, no free resitting. This class is priced perfect for those needing the new materials, 4 days of training, no resitting needed, and 45 days of online quiz practice. Perfect if you just need the one class. This option ended 12/31/18. see next options. 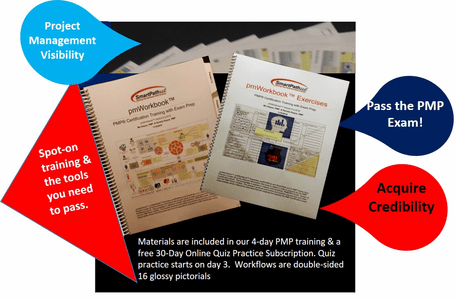 (2) PMP Live Online Refresher Loyalty- $600 for 4 days, Live Video Conference only (formerly select a day) with 2 resitting opportunities within 90 days.